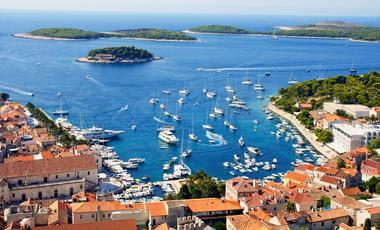 Sophisticated and unpretentious yacht cruises for the active travellers. With origins dating back to 1987, Seadream Yacht Club is an all inclusive, family owned, award winning five star company operating two innovative cruising mega yachts, SeaDream I and SeaDream II. This all inclusive experience entails all gourmet meals, gratuitues, open bar, wine with lunch and dinner and much more allowing you to relax without the worry of additional charges. SeaDream has won multiple awards every year since 2010 for its excellence, winning titles such as 'Best Summer Cruises' in 2015. A cruise with SeaDream promises outstanding service, unique shore excursions like yachting voyages, escapes on a private jet or even an African safari, and sensational cuisines. SeaDream cruises are ideally suited to couples and cruisers seeking a sophisticated, laid back cruising experience. Dining romatically caters to couples with the provision of many tables for two. Indulge in excellent gourmet dishes and finest selection of wines from expertly designed menus. At night, cruisers can go to the cinema under the stars on the pool deck. Spoil yourself in the spa or soak up the sun on Balinese dream beds on deck. No matter what rendezvous you fancy, be it a Mediterranean, Caribbean, Transatlantic or African adventure, SeaDream promises not to disappoint. This cruise will show you the best of Italy and Croatia. It includes a stop over in Postitano, a picturesque coastal Italian city where you'll have plenty of time to explore the city and relax. With seven days in port, this is a great cruise for anyone looking to visit as many cities as possible. Make sure to think about what you want to do whilst and book your shore excursions in advance. 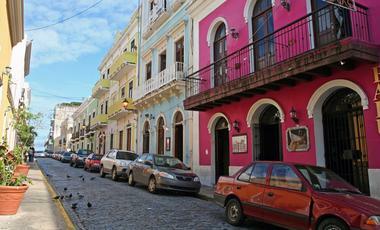 This cruise will see you cross the Atlantic from Spain to Puerto Rico. Starting in Malaga, you'll stop over in the beautiful Azores and finally disembark in San Juan. SeaDream mega yachts have a limited amount of passengers. This means that you'll be able to enjoy your own private space not just in your cabin but also more generally on the ship. Quite important when you're spending 11 nights at sea! This twelve day cruise will give you the real Mediterranean experience. 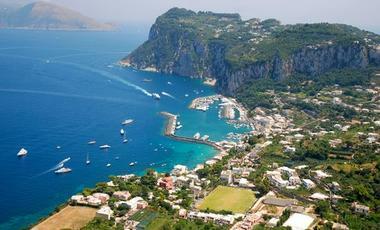 You'll sail from Rome to Venice, stopping over in various ports in Italy, Croatia and Montenegro on the way. Make the most of the stopover in Dubrovnik. This ancient city offers a hold host of things to do see and do so you'll want to plan your time there in advance. A journey on board the SeaDream allows you to feel as if you are on your own private yacht. This beautifully designed ship coupled with excellent service will promises to give you the most incredible cruise experience yet. The SeaDream II offers passengers an incredibly luxurious cruise while giving you the feeling of being on a private yacht. There is a passenger capacity of 112 people and there are 95 crew members on board. SeaDream Yacht Club was founded in September of 2001 by Norwegian entrepreneur Atle Brynestad (also the founder of Seabourn Cruise Line) and Larry Pimentel. These visionaries recruited a team of veterans highly experienced in the fields of management and travel which has led to the emergence of a company perfectly suited to passengers seeking an intimate sailing experience with, „No clocks, no crowds, no lines, no stress“ and a casual atmosphere. This prestigious company offers luxurious and highly intimate cruises which take the form of yacht-style experiences. This deviation from ‘traditional cruises’ is so integral to the company that their tagline is, “It’s yachting, not cruising”. What’s different about SeaDream Yacht Club? The attention guests receive aboard the mega-yachts SeaDream I and SeaDream II is second to none as the 56 lucky couples aboard are attended to by an expert crew of 95! That’s almost 1 crewmember per couple so prepare to be pampered. For the connoisseurs among you, SeaDream Yacht Club offers special Wine Voyages on which your experience will be augmented by Winemaker’s Dinners, aromatic tastings, Master Classes with acclaimed chefs and even excursions to select wineries. The delicious wines will enhance your entire experience by cleverly reflecting the culture of your destination and surroundings. 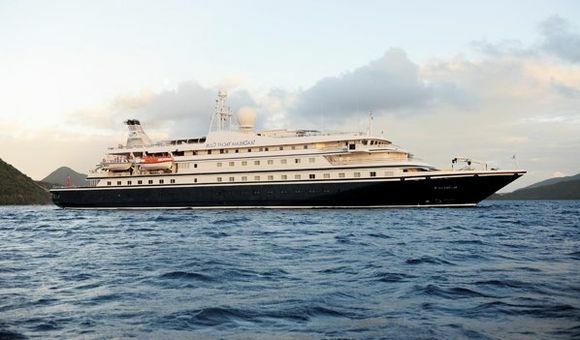 The 2013 Berlitz Guide to Cruising Cruise Ships, which has been running for 28 years, has granted the 112-guest mega yachts SeaDream I and SeaDream II the top two ratings in the ‘Boutique Ships’ category. This impressive achievement is a testament to the dedication of the crew and visionary leadership of SeaDream Yacht Club. Both majestic vessels in this fleet possess a retractable marina so passengers can indulge in a spot of water sports. Why not try out glass bottom kayaks, paddle-boarding or just have a dip while the vigilant Marina staff will ensure you’re in safe hands.